​Ben White has been the director of Main Street Chillicothe since September 2017. Previously, he worked for the Chillicothe Development Corporation and as Main Street Chillicothe's assistant director since January 2015. 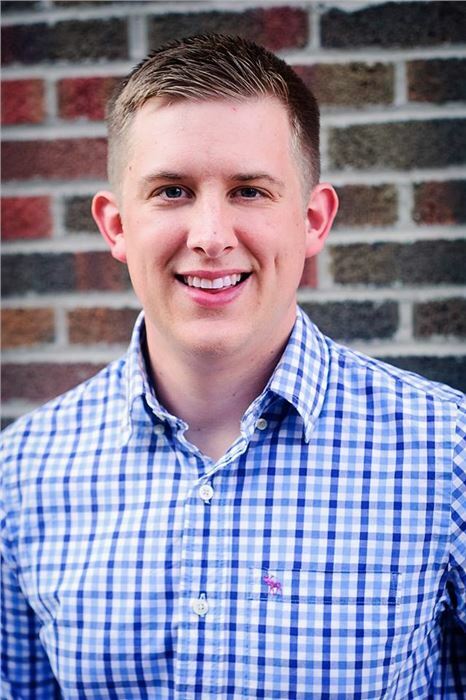 He graduated with distinction from Southeast Missouri State in December 2014 with his bachelor of science in Historic Preservation and a minor in Archeology and with his Master's in Public Administration with a certificate in Community Planning from the University of Illinois-Springfield in May 2018. Ben was previously the intern for Main Street Chillicothe in the summer of 2014 before accepting a full-time position. He is dedicated to preserving the rich history of the Home of Sliced Bread and making it a destination spot for years to come. His wife, Alicia Heidbreder, graduated with her doctorate in Physical Therapy from the University of Missouri in May 2018 and works at Hedrick Medical Center. Jaime Saucedo comes from a strong marketing and organizational background, with experience in Advertising and Promotional Sales, Sales Executive Training, Team Management, Marketing Planning and Design, Project Development, Project Management, Event Coordinating and Event Management. After moving to town in August of 2016, Jaime and wife Jessica have made Chillicothe their home. Their three children all attend Chillicothe Schools, with son Jalen at Central School and twins Janie and Jessi at Dewey School. Pam is not new to Main Street as she served on the Board of Directors for several years and held varying positions. She had been employed for almost 11 years as Assistant Manager, Administration with Lowes Home Improvement in Chillicothe. Pam was born and raised on a farm outside of Milan, MO, and graduated from Milan High School. She has been married to Jim Jarding for 43 years. They resided in Sioux Falls, South Dakota, for 25 years before moving to Chillicothe. They have two sons. Jared is a paramedic for the Kansas City Fire Department. His wife Crystal is a nurse for Mosaic. Six year old Maddie is Jim and Pam's oldest granddaughter. Questions? Contact us at 660-646-4071 or stop by our offices, located at 514 Washington Street in the heart of downtown Chillicothe.